Ouch! 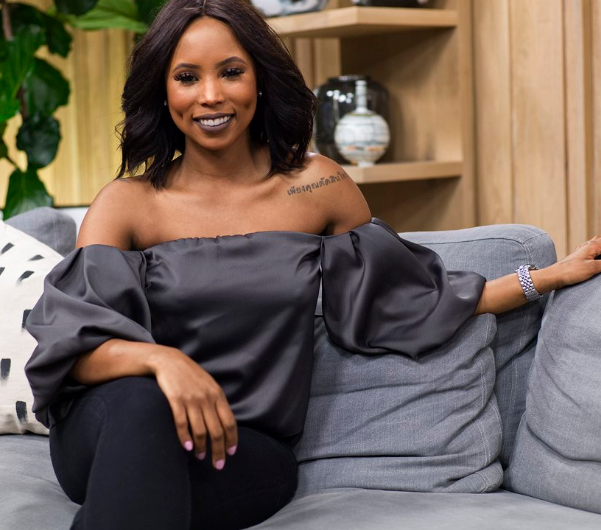 Denise Zimba Shares Her 2017 Gig Regrets! 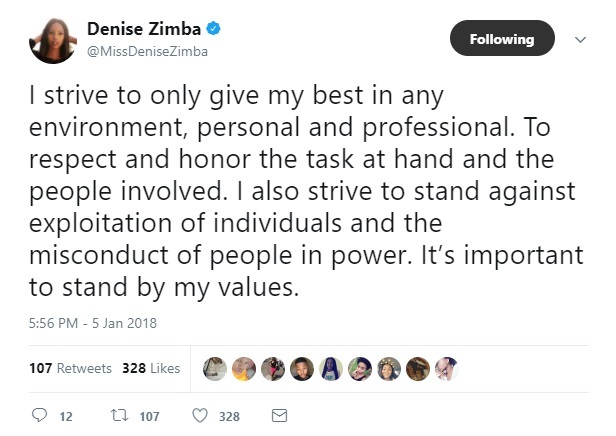 One thing we love and appreciate about the media personality is how she tells it like it is and not afraid to ‘tarnish her brand’ like other local celebs. Taking to twitter, Denise shared her regrets from 2017 and the shows she regrets doing. 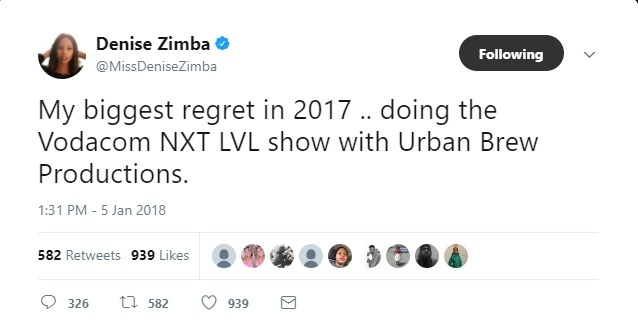 “My biggest regret in 2017 .. doing the Vodacom NXT LVL show with Urban Brew Productions,” she tweeted. “My biggest regret in 2017 .. doing the #Top5drive with Barleader TV,” she added.